Growing discontent with the performance of educational institutions is common in the USA today and little is being done to address the real problem - that of the need to reform and restructure the entire educational system. A key issue in this reform is the training and development of leaders in educational administration; as experienced "leaders" retire, so new professionals are called to assume the mantle of the "old hands" and vital new opportunities exist for those willing to take up the challenge. 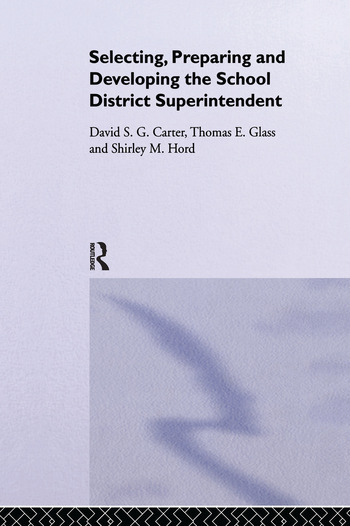 ; This vitally practical text is about the selection, preparation and professional development of aspiring school leaders over the course of their careers, concentrating on ways to increase their overall effectiveness - particularly in changing times. It looks at changes that have been made and considers what can be adapted from existing systems in order to make radical improvements for those in leadership positions. ; It is intended for use by postgraduate students in education, teacher trainings, heads of education faculties and teachers in leadership positions, school board members and aspirant superintendents.